Sport articles There are 18 products. 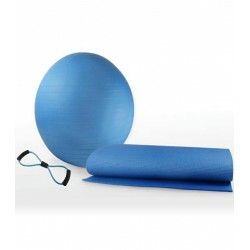 The JOCCA Yoga and Pilates Set is the perfect Kit for these two activities. Whether you're looking for increased flexibility or a workout that challenges the body, the JOCCA Yoga and Pilates Set is the ideal way to ease yoga and pilates into your day. Whether you are looking to tone and strengthen, improve core strength, lose weight, or simply get healthy and fit, the JOCCA Fitness Ball is easy to use and effective. Increase the results of any exercise performed on the ground by moving it onto the JOCCA Fitness Ball. 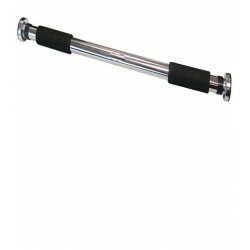 The JOCCA Stretch Resistance Tube is perfect for home-exercising. Exercise your whole body with the same item and forget about expensive gyms and weir machines. The JOCCA Stretch Resistance Band will allow you to deepen your stretch and increase your flexibility. The JOCCA Ab Builder allows you to target those hard to isolate, individual muscles, putting the power directly where you want it. With 5 different programs, the conductive pads of the JOCCA Ab Builder are autoadhesive. Sauna trousers. Neoprene slim pant with sauna effect. The JOCCA Pedal Exerciser will be your best ally during this winter. With the JOCCA Foldable Pedal Exerciser you will be able to do sports even if outside is cold or rainy. 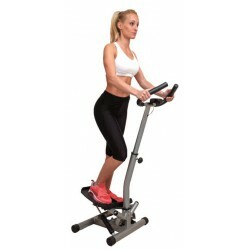 Run and get your JOCCA Pedal Exerciser at this amazing price!